kkTrg-zlpmDYP_bho1NKLnEUrXg A Student CRNA Blog: It's that time to take the SEE again? It's that time to take the SEE again? These categories are scaled score that ranges from 300-600 points. 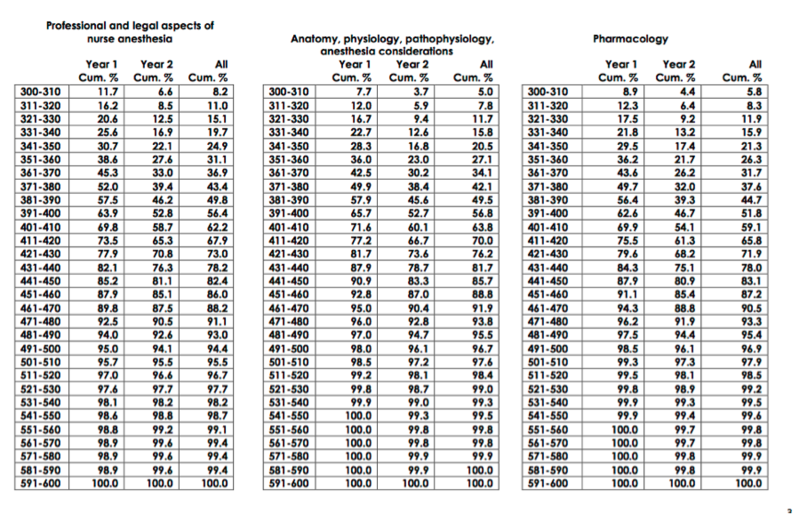 As you can see, anatomy and pharmacology yields the highest percent, which means more questions are in these categories. Many people focused more on these two categories. Not many people realized that even though other categories are low yield in terms of number of questions, the percent of correct answers makes a big difference on your scaled score. In contrast, if you miss more questions, your scaled score will drop significantly. So when you study, make sure you cover the categories. Results: Statistically speaking, SEE exam taken the 2nd year yields lower score compared to previous year. One main reason is that most 1st year takers are more fresh from the didactic standpoint. Generally speaking, scoring above 400 or higher is a good indicator for passing the NCE. The question that I always hear” what’s the national average?” Well, here it is. According to the table above, total cumulative score of 400 yields at 58.5%. That means you scored 58.5% percent better than everyone else in the country. That percent seems a little too high if it really correlates with the NCE. 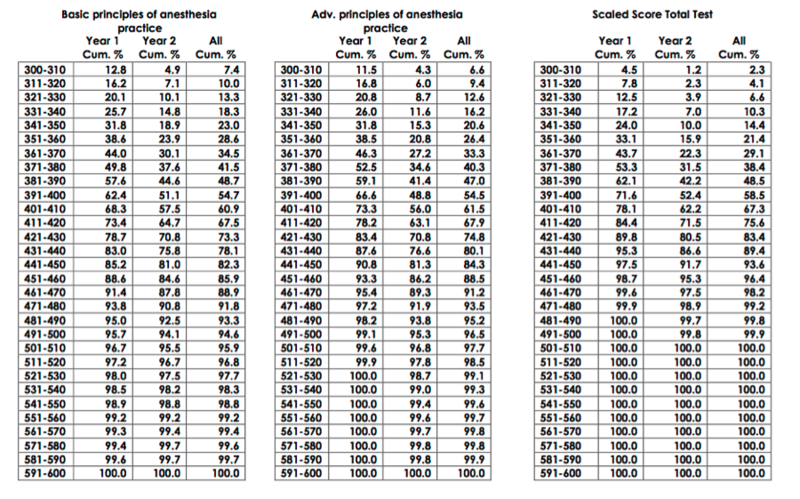 Valley anesthesia stated that Over 90% of 1st time takers passes the NCE exam. 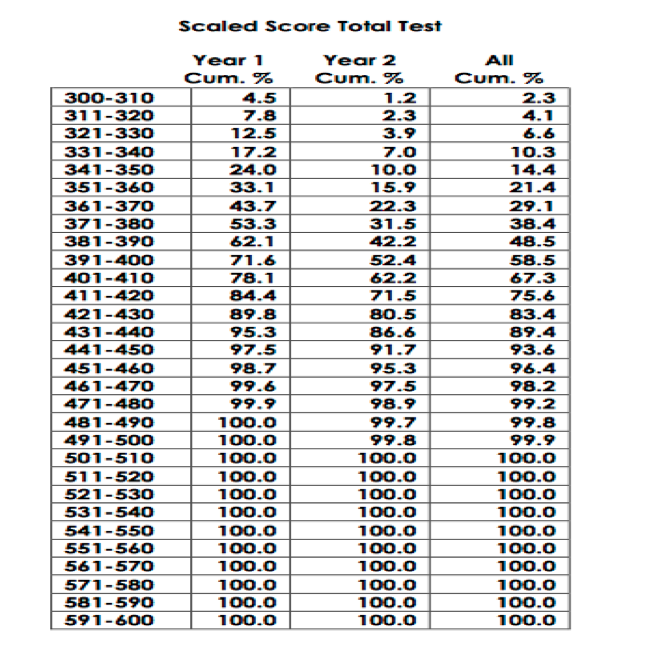 If it is really over 90%, cumulative score in the SEE exam should be lower than 400 points as an indicator for passing the board. Of course, you want to score the highest for confidence purposes. Use the content area as your guide. You may use valley memory master, prodigy or APEX, Core concepts and many others to tackle these subjects. Happy studying!!! 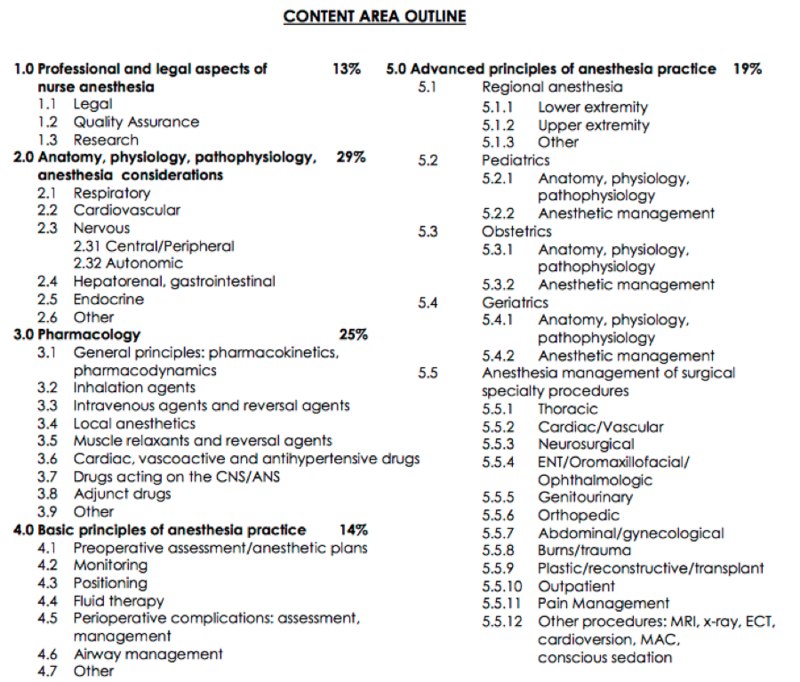 © 2008-2012 A Student CRNA Blog All Rights Reserved. Powered by Blogger.